Businesses and other private property owners all have a responsibility when it comes to guaranteeing a visitor’s safety. No matter if it is a neighbor or store owner, all owners of private property must ensure that the property is safe for all that visit. The level of care that is necessary to protect visitors may vary depending on the type of premises, however. For example, businesses generally owe customers a higher duty of care than homeowners owe visitors. If you slip and fall, are attacked by an animal or otherwise injured due to the negligence of a property or animal owner, then a Philadelphia premises liability lawyer can help you build a strong case. 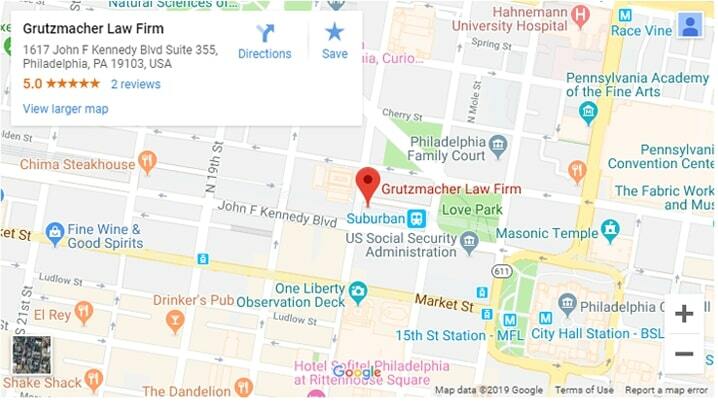 Adam E. Grutzmacher has been a Philadelphia premises liability lawyer for more than a decade. He has dedicated his entire career to helping wrongfully injured victims receive the aid they deserve. He has successfully litigated premises liability lawsuits across Pennsylvania and is licensed to represent clients in New Jersey district courts. From the moment he takes your case, he will stop at nothing to protect your rights and do everything in his power to ensure that each client receives rightful compensation for all pain and suffering damages incurred. What Is a Property Owner’s “Duty of Care”? Every private property owner must maintain what is called their “duty of care” to every friend, relative, worker or other persons entering the property. Put simply, this duty refers to a property owner’s responsibility to ensure that the property is free of hazards; if it is not, then all hazards must be sectioned off and not accessible to visitors. If a friend is injured on your property because of your negligence to maintain said duty of care, then that friend has the right to file a premises liability claim against you. This goes for animal owners as well. It is your responsibility as a pet owner to ensure that all proper safety precautions are made to ensure that the animal cannot get out and hurt someone. Additionally, you should be aware that if your dog attacks someone off your property, then you can still be held liable. There is one case in which a property owner typically does not have a duty of care to a visitor and that is in the case of a trespasser. However, if the trespasser is a child and that child is injured while trespassing on your property, then you can potentially be held liable if the child was injured because of a known hazard on the property. Further, if you catch a trespasser in the act, it is imperative that you get to a safe place immediately and call the proper authorities. If you knowingly inflict an intentional injury out of willfulness, then a trespasser — someone on your property without your permission — can indeed file a premises liability claim against you and likely win. What Are Common Premises Liability Cases? Slips, Trips and Falls. Slip and fall accidents are the most reported cause of premises liability lawsuits. They can happen for a number of reasons including walkways being slick from rain, snow or other slippery hazard that has not be marked off or addressed. Chemical exposure. A person can typically file a premises liability lawsuit against a property owner if he or she was exposed to harmful chemicals. One of the most commonly reported instances of chemical exposure in premises liability cases is attributed to carbon monoxide leaks. To prevent this situation from happening — as well as ensure everyone’s safety — businesses and homeowners alike can install devices that measure carbon monoxide levels and provide warnings in the case of a leak. 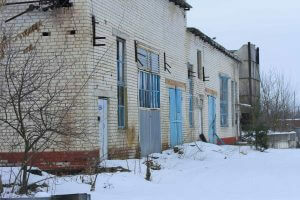 Lack of Security or Other Safety Measures. This particular instance applies mostly to businesses open to the general public, like event venues and hotels, than homeowners. If you were injured due to a lack of security or other safety measures (ie: properly marked exits), then you have the right to file a premises liability lawsuit claiming negligence on behalf of the concert organizers, hotel or other venue owner. Dog Bites. A person who has been injured, or whose animal has been hurt, by a dog bite — whether on or off the dog owner’s property — holds the right to file a premises liability claim to receive compensation for damages. There are of course other instances in which you have the right to file a premises liability claim. A professional Philadelphia premises liability attorney such as Adam Grutzmacher is knowledgeable in all aspects of state and federal laws regarding premises liability. He can use this knowledge paired with the abundant resources available to him in order to litigate your premises liability lawsuit to a successful end. Unsure how to proceed with your premises liability case? Contact our local Philadelphia premises liability law firm to schedule a free consultation today. During this initial meeting with Adam Grutzmacher, you can discuss all the details of your case and he can give you his professional legal advice about how best to proceed.